We’ve been waiting for this smartphone for so long that now its announcement seems surreal. Sony Ericsson has just announced the XPERIA X2 smartphone officially and it turns out it’ll be running Windows Mobile 6.5, so that means it might be landing in October with the rest of the WM 6.5 devices. X2 packs a 3.2 inch TFT display with a 480 x 800 pixel resolution, 100MB of internal memory, a microSD/microSDHC card slot (cards up to 16GB) and a very cool 8.1 megapixel camera, with autofocus, geotagging, image stabilizer and up to 16x digital zoom. Video recording is also supported, as well as Bluetooth stereo A2DP and the handset incorporates stereo speakers. 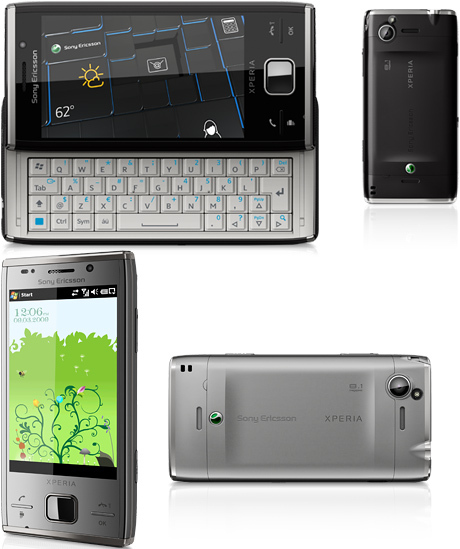 The brand new XPERIA phone comes with Internet Explorer, support for Microsoft Exchange ActiveSync, an accelerometer, A-GPS, 3D games, video streaming, Google Maps, TV out and WiFi. As far as connectivity is concerned, you get support for GSM/GPRS/EDGE and UMTS/HSPA in the due bands, plus a battery life of 500 hours in GSM standby mode and up to 20 hours of music listening, plus 10 hours of GSM talk time. Next articleiPhone OS 3.1 Coming Next Week?